Companies have been using the “psychology of color” to improve the mood of the workers, which in turn will affect their productivity and overall performance. It is no different in a home office. Choosing the best color will depend on the space and/or the preference of the self-employed homeowner. There are blues to calm the frayed nerves and help release stress, reds to stimulate the mind and body, yellows to inject some energy and optimism and greens to create balance in the work space. If you’re wondering what is best color for home office, here are some cool office color ideas that you will definitely love. This is an earthy and rustic-looking home office design, incorporating lots of timber, exposed brick and industrial lighting & paneling. Looks amazing and feels comfy. 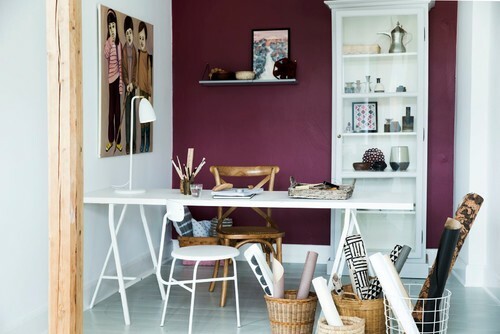 Pink may be the last color you’d think when painting a home office, but with the right shades, it can make your space really lovely and relaxing. Beautiful pale pink office found on Southern Weddings. I love the chair! Your office should be a place where you can thrive in your work. This beautiful dark green color looks like best color for home office! 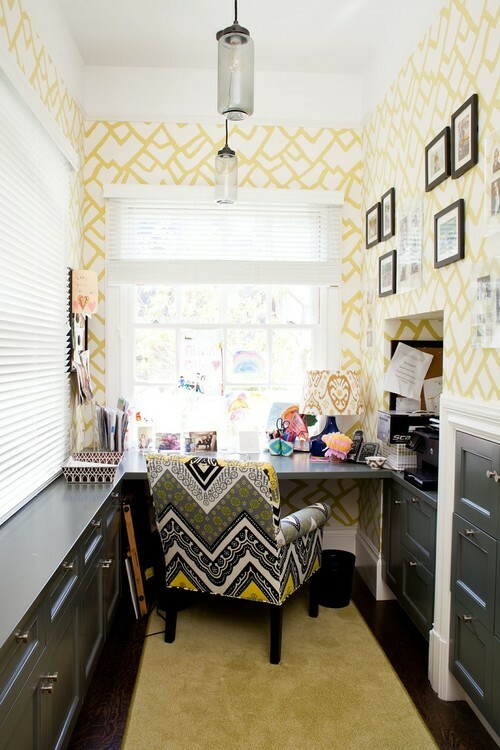 White is the best color for home office since it’s evergreen. Plus it allows you to throw in a little color and decor like a framed artwork, some indoor plants, and beautiful exotic-looking carpets. Beige is one of the safest color choices for the home office, but you can even make your beige space less boring and more elegant by matching it with some tasteful decor and furniture. 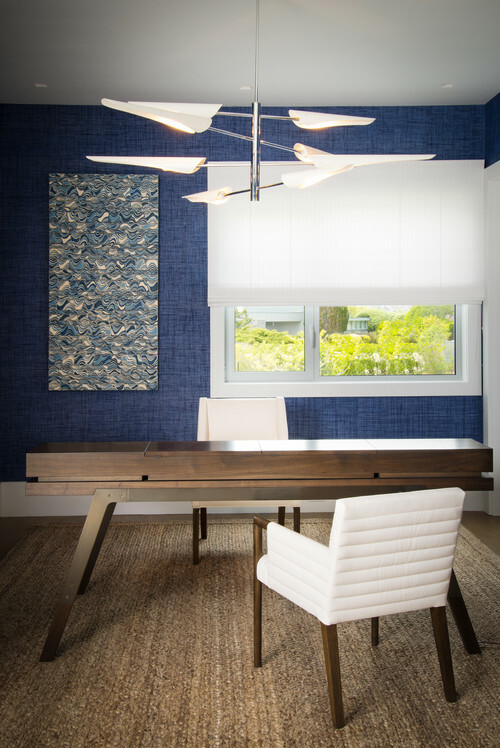 Blue is one of the popular colors for the home office, and is one of my favorites too. It goes great with any color and furniture, and it shows with this office setup. American traditional warms up a Melbourne coastal home! Looks nice! Simple and sleek! Wood certainly adds some warmth to the space. Inspiration for a small transitional study room in North West with a freestanding desk, purple walls and painted wood floors. Purple simply lends a more dramatic feel to this room. Deep red color works on walls, but remember that it will absorb light and make any space feel slightly smaller and more enclosed. That may affect your work, so think carefully if you want to go with red color for your home office. Cute, isn’t it? And perfect idea for small spaces! Which one is your favorite? Tell us in the comments section!